You are here: Home / KID Recall / KID To Hire Manager With Little Experience? KID To Hire Manager With Little Experience? n August 25th, the Herald and News reported that the “KID board seeks to fill manager post” after Hollie Cannon, previous interim manager, left on July 31st. 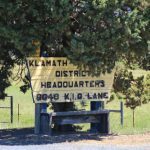 We are finally starting to see some movement on getting a new manager hired for the Klamath Irrigation District, although there is clearly not consensus on who that manager should be. The Herald and News staff reporter Holly Dillemuth on August 31 reported in the story “KID board taps top candidate“, that Chairman Brent Cheyne, Vice Chair Grant Knoll and Ken Smith voted 3-2 to move 66-year-old John Wolf to the “top of the heap” and move forward in the hiring process despite the fact Mr. Wolf has no experience running an irrigation district nor familiarity with computers or GIS. The other leading applicants were locals Shane McDonald, 42, who is current manager of the Enterprise Irrigation District, and Scott Cheyne, 47, manager Cascade Seed LLC. Chairman Cheyne mentioned a “potential conflict of interest” with hiring Scott Cheyne who is his fourth cousin . 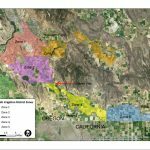 Many KID patrons are questioning why Mr. Cheyne, Mr. Knoll and Mr. Smith would hire someone with no experience running an irrigation district and has little computer skills or familiarity with the tools that help keep the irrigation district afloat. Again, this looks like the same type of decision making they made that brought New York City attorney Lawrence Kogan to town.